After multiple owners tried for several decades to make St. Louis Union Station thrive as a destination attraction, its current owners think they know what will succeed in competing against today’s world of online shopping and video games. 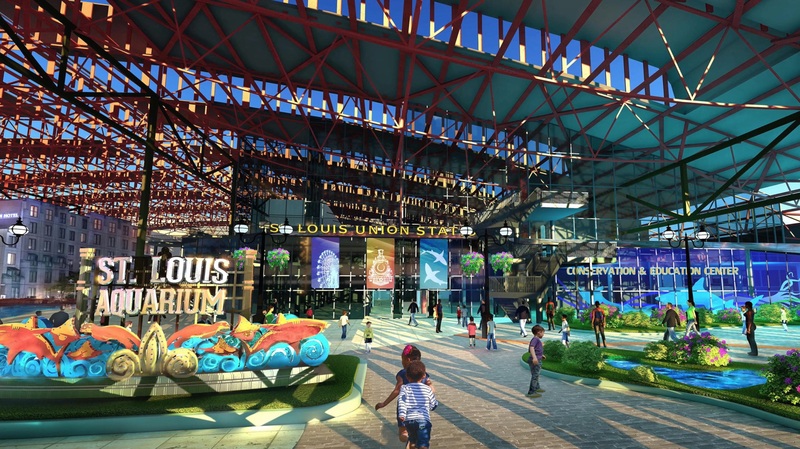 “You sit around and try to figure out what we can do to make this special again, and there is not a single aquarium in the world that is in a train station,” said Stephen O’Loughlin, President and Chief Operating Officer at Lodging Hospitality Management (LHM), a St. Louis based company that bought Union Station in 2012. 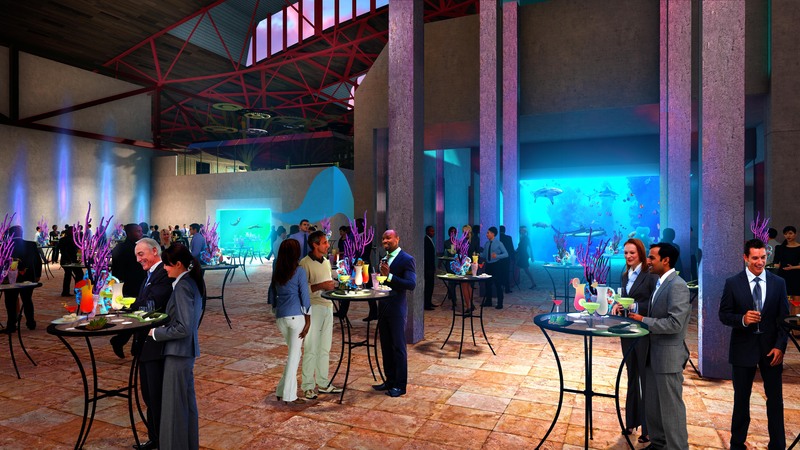 With the hotel and convention area renovations complete, LHM broke ground on the St. Louis Aquarium at Union Station in November 2017. 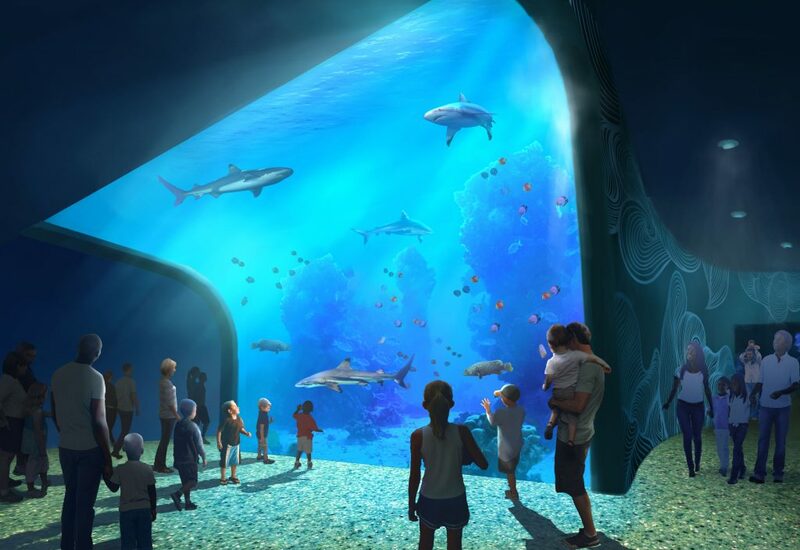 “We are the largest city in the United States without an aquarium and everybody in St. Louis has been wanting an aquarium,” said Robert O’Loughlin, LHM’s Chairman and Chief Executive Officer. “I can’t tell you how many people come to us and say how thrilled they are that an aquarium is going into Union Station,” he said. Replacing the station’s mall area with a two-story aquarium is just part of the sea change at Union Station. 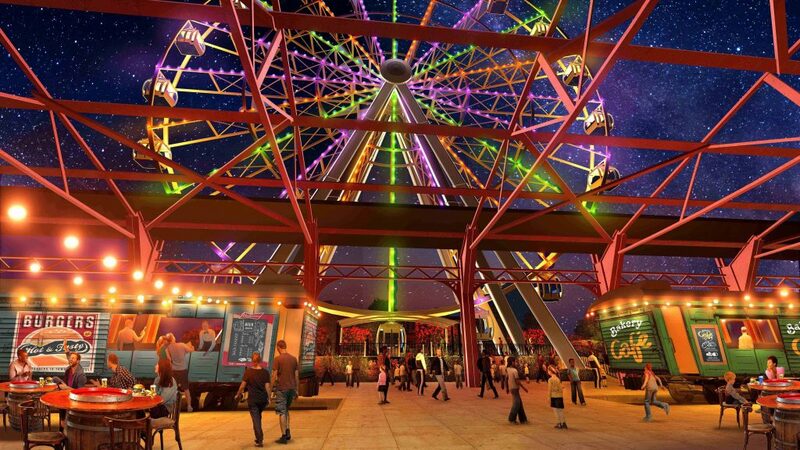 Starting this summer, a 200-foot tall Ferris Wheel, now being built in Wichita, Kansas, will be installed next to the outdoor portion of the train shed. 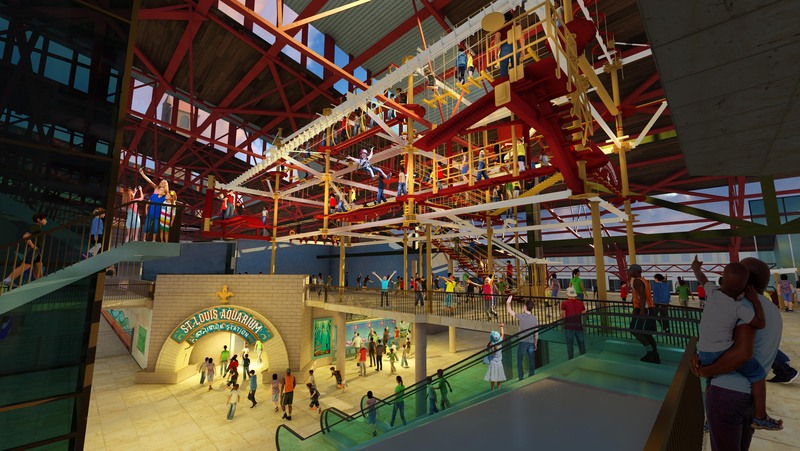 LHM is also adding new restaurants, a small 18-hole golf course, and a ropes course to the mix of activities. The popular Fudgery will be returning. Construction workers are so excited by project, they did a music video to the “Baby Shark” song. The video has gone viral on the internet. “To be part of a family destination in our own hometown is pretty exciting,” said Ryan Freeman, McCarthy Building Companies Vice-President of Operations. “It is going to be amazing to see the transformation from the time we were kids and we came here and it was a mall to come back now and see fish,” he said. The aquarium is designed by St. Louis based PGAV. “There are a lot of fears doing an aquarium. The first one is to keep the fish alive. The second is a leak. “We have hired PGAV, which has done 50 aquariums throughout the world and we have got the best of the best to make sure everything goes well,” Robert O’Loughlin said. Along with salt water fish, the St. Louis Aquarium at Union Station will also feature fish found in the Mississippi and Missouri rivers. 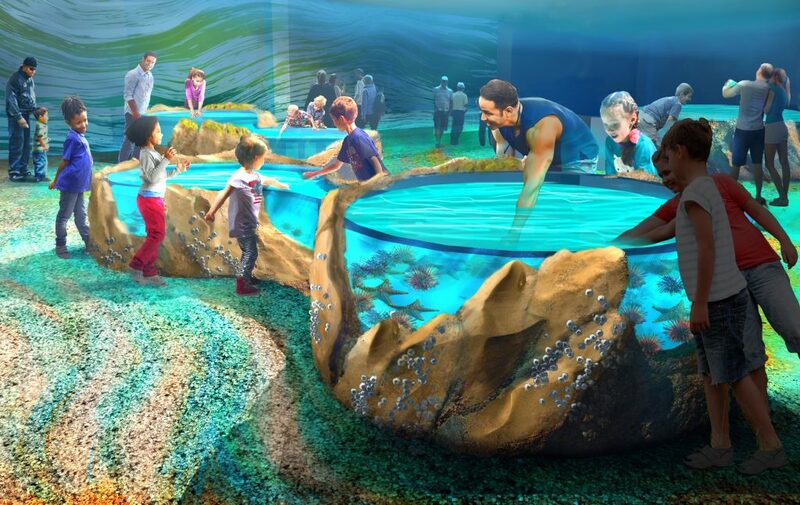 Some displays will be interactive, allowing visitors to put their hands in the tanks. There will also be an event space that will use windows looking into the shark habitat as its backdrop. “We are bigger than Nashville, we are bigger than Indianapolis, and St. Louis deserves big attractions and big amenities like these,” said Stephen O’Loughlin. 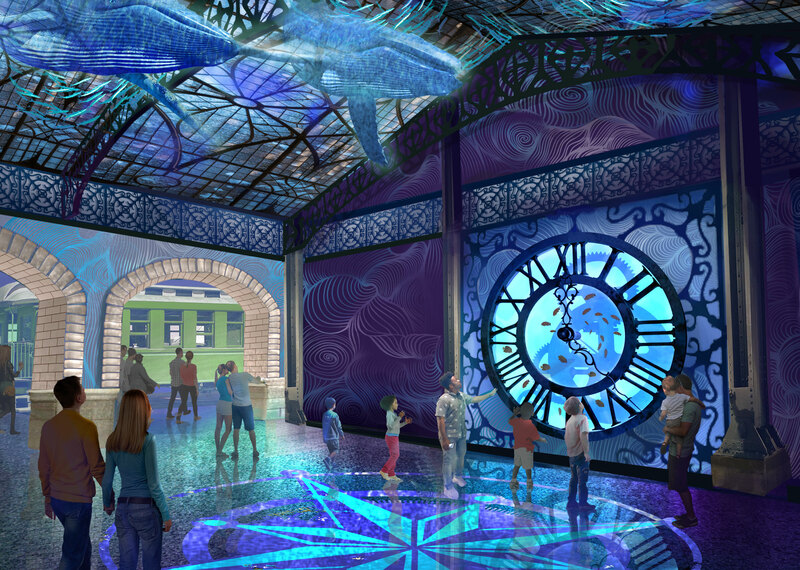 “We looked at everything we could do in the space, but once we hit the aquarium concept, we stood back and said you know something, this is going to be really cool,” said Robert O’Loughlin. 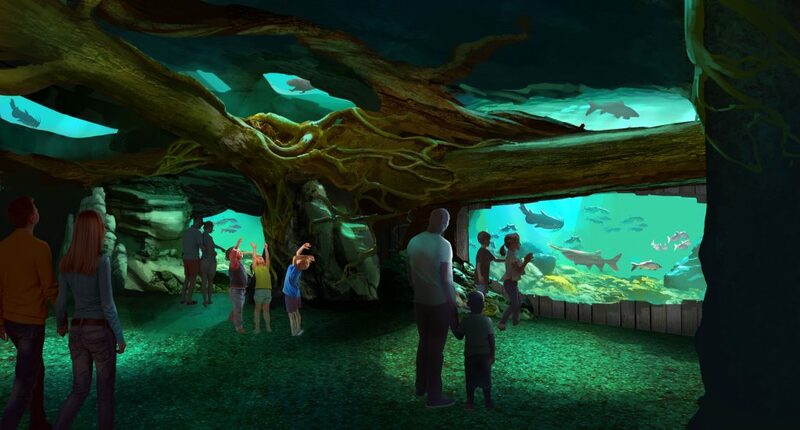 They hope to open the aquarium in late 2019.